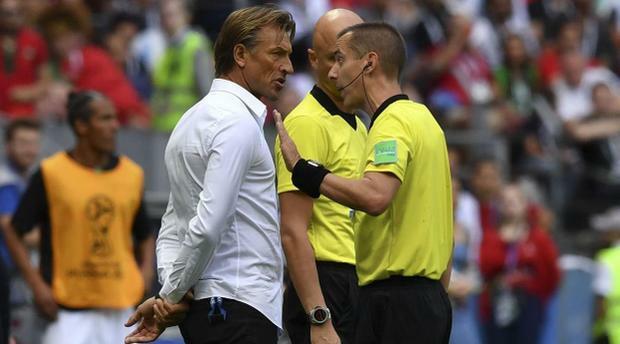 Rabat - Is Herve Renard again in “tactical disagreement” with Moroccan footballing authorities? Rabat – Is Herve Renard again in “tactical disagreement” with Moroccan footballing authorities? After weeks of stability that followed post-World Cup rumors about Herve Renard leaving his position as the Atlas Lions head coach, the debate has recently resurfaced as Morocco’s Atlas Lions unimpressive shape has sparked questions about tactics and team morale. Reports have indicated that the Moroccan Federal Football Federation (FRMF) has taken steps to prepare to replace the team’s French head coach. According to Mercato 365, the football-focused outlet which first reported the story, Fouzi Lekjaa, the FRMF president, has recently made a host of moves which suggest uneasiness with Renard. Lekjaa, who is known for attending the Lions’ matches, “ditched” the national squad for their latest trip to Comoros, where the Lions eventually drew 2-2 with their host. Three days prior to the draw, Morocco hosted Comoros and won unconvincingly, thanks to a late-penalty. That poor performance was the culmination of a post-World Cup crisis of personal issues between some players and staff members, reports have relayed. The quality chasm between the current Atlas Lions and the inspiring squad that played in Russia in June has quickly sounded the alarm bell among Lekjaa and company, who are said to have actively started looking for alternatives for Renard. Moroccan outlet Le 360 reported on October 18 that FRMF is increasingly having qualms about “some of Renard’s latest tactical choices” as well as “the complacency of the squad’s technical staff” towards established players who, given their current shape, should not be the first choices. Carlos Queiroz, the Portuguese coach of the Iranian national team, is the name making the rounds as an eventual first choice replacement for Renard. The veteran Portuguese coach beat Renard in Russia this summer. Some believe that his successful spell with an underdog Iranian team, especially their display against heavyweights at this year’s World Cup, has charmed many in Lekjaa’s inner circles. They have allegedly claimed that the Queiroz’s more experienced handling of in-transition-teams and his more impressive pedigree on the world stage—Queiroz coached teams of Real Madrid’s stature—may be better suited for a talent-laden Moroccan team hungry for trophies and the continental glory that has been eluding it for over a decade. When Morocco returned from its mixed World Cup record, it took FRMF and Herve Renard almost a month to settle rumors of “fundamental disagreement” between Renard and the upper echelons of FRMF about the Atlas Lions management. After dragging each other into the surging debate about extending or not extending Renard’s contract, the Frenchman and Fouzi Lekjaa, the FRMF president, finally decided to comment upon the rumors. They both expressed satisfaction at the quality of play and team spirit that the Moroccan national team gave at the World Cup. Lekjaa said that both the FRMF leadership and Moroccan fans have grown to like the team that the Atlas Lions had become under Renard’s tutelage. The players, he noted, liked their coach even more, having developed a winning team attitude and morale largely made possible by the Frenchman’s success in, and good grasp of, African football. 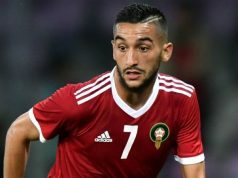 The overwhelming sentiment, Lekjaa suggested, was that Renard maintain his position at least until the 2019 Africa Cup of Nations (CAN), a tournament Morocco is keen to win after an early debacle in Russia and nearly two decades of anonymous performances in senior African competitions. A number of FRMF sources have since given a host of interviews to “expunge the false allegations” that may be bad for the cohesion and preparedness of a squad that needs to focus on its remaining two CAN qualifier games. “Our trust in Hervé Renard is complete, and this decision [sacking Renard] is unthinkable. We are preparing to play an important CAN qualifier against Cameroon, and we regret such distractions targeting Morocco’s national team,” Makrouf said. “We are interested in no other coach, and Renard will continue his mission,” he added. Renard’s “mission” after the World Cup fiasco has been set in terms of qualifying for the CAN, with the hope of at least reaching the semi finals, a phase that Morocco has not reached since 2004. That year, the Atlas Lions reached the final, where they lost 2-1 to host nation Tunisia. For all of FRFM’s strong denials of the rumors, some Moroccan fans and football observers have been quick to detect an FRMF-set game to let rumors spread in a bid to impact Renard. 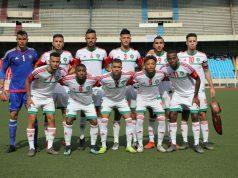 The message, they argue, is to let Renard know that despite his popularity with Moroccan fans, replacement is an option if the Lions fail to deliver improved and confidence-inspiring performances in the build-up to CAN. Morocco will take on Group B leader Cameroon at the Mohamed V Stadium in Casablanca on November 16. And Renard, who has made no statements regarding the sprawling rumors, may be contemplating the Cameroon match as an opportunity to make a resounding statement regarding his future with the Atlas Lions.